Welcome to the Jordan Youth Choir! We are an after school children’s choir for children in Kindergarten through high school. At JYC, not only is singing fun, but it’s educational! 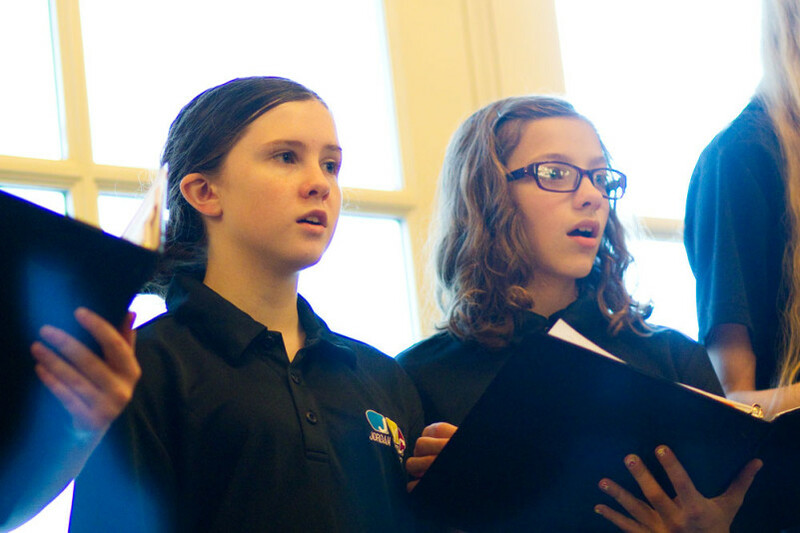 In our choir, singers are provided a quality music education in addition to an authentic choral experience. We go beyond song memorization and teach children to become musicians. The choir is on break at this time, while our director is out with her new baby. JYC will return at a future date to be decided. Hillary Emmer loves working with kids and sharing with them her passion and enthusiasm for singing! Ready to come sing with us? We'd love to add your voice to ours! Do you need to email or call us? Or are you looking for our address?